I was informed that these books on popular music and popular culture were just published. It feels good to see many books on popular culture in/around Asia (and especially music) are coming out. One of the most significant results of the deepening industrialization in Southeast Asia since the 1980s has been the expansion of consumption and new forms of media, and that Indonesia is a prime example. 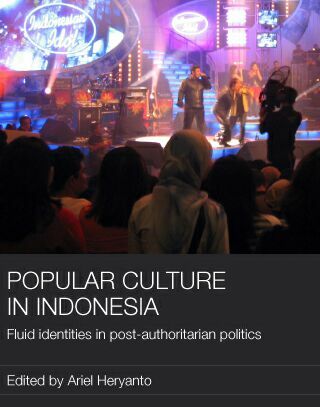 Popular Culture in Indonesia; Fluid Identities in Post-Authoritarian Politics details the key trends since the collapse of the authoritarian Suharto regime (1998), showing how the multilayered and contradictory processes of identity formation in Indonesia are inextricably linked to popular culture. This is one of the first books on Indonesia’s media and popular culture in English; a significant addition to the literature on Asian popular culture. 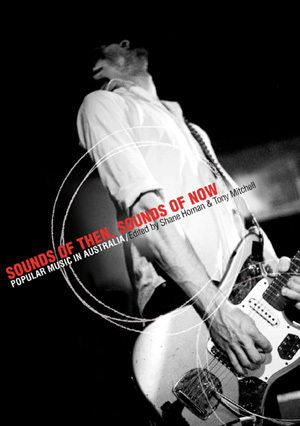 In Sounds of then, sounds of now: Popular music in Australia some of the country’s most respected popular music researchers, musicians and music journalists document a range of past and present Australian sounds and scenes. The collection maps recent changes in music consumption, production and media technologies, and the implications for local industries. It reconciles local music histories with contemporary practice, and reflects upon the growth and current diversity of Australian research, music genres and contexts, including jazz, rock, folk, metal, electronica, dance music, experimental music and hip hop. Chapters examining Aboriginal, Islander and world musics offer new perspectives on local and transnational relationships between popular music, geography and culture in Australia. This text provides a means for understanding how popular music has expressed, reflected and influenced changes in Australian society through debates about youth, nationalism, censorship, local identity, contested spaces and enduring mythologies about ‘Australianness’. While some chapters examine earlier scenes and musical forms, the emphasis is upon Australian popular music since World War 2. At the same time, every chapter is informed by global debates and themes, including popular music’s ongoing concerns with concepts such as nationalism, cultural imperialism, globalisation, authenticity, appropriation, the ‘mainstream’, subcultures, genres and the impact of new media and the internet. The authors’ considerable experience in teaching and researching popular music studies has ensured a collection that is lively, accessible and well adapted to use in media, popular music, sociology, musicology and cultural studies courses. Each chapter contains a reference list, discography, a list of key web sites and discussion questions to assist students in linking chapter themes and issues to wider national and international debates. At a time when Australian popular music is enjoying increasing international critical and commercial success, this wide-ranging new collection offers a critical revision of popular music’s place in Australian society.